Full service real estate brokerage with MASSIVE internet exposure for your home on all the major real estate sites including Zillow, Realtor.com, etc. and the Multiple Listing Service (MLS). No shortcuts, no hidden fees. Over 90% of homes listed for sale are NOT sold by the listing agent. or even less – BIG mistake! Select Realty is helping N.E. Florida homeowners get more money when they sell their home. 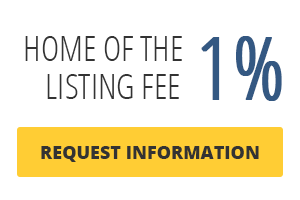 Our TOTAL commission fee is just 4% while other brokers can charge 6% or more. Importantly we still pay the buyer-side agents a full 3% but we only charge 1% on the listing side so our sellers bank more cash. How do we do it? We cut out the unnecessary expenses which are not required to sell your home – million-dollar offices, meeting rooms, high-back leather arm chairs, fancy reception areas, etc. But everything needed to sell your home is the same – our realtors work and communicate directly with you and will provide first-class quality and service to sell your home for the best price possible. Give us a call, text, or send a message through our contact form today!